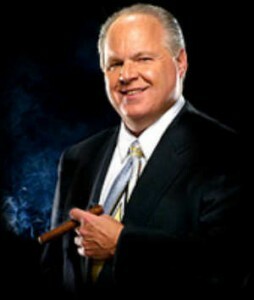 Citizens of Missoula, Montana continue to make headway in their effort to push Rush Limbaugh off the air in that town. Dave Chrismon, head of the grassroots effort and website RushOutOfMissoula.com, reports that seven more businesses have pulled their ads from Limbaugh’s show in the last week, for a total of 27 businesses that have abandoned the show since the group’s effort started in mid-April, 2012. “We’re shaking this bully’s tree!” Chrismon crowed. Remaining advertisers can be seen at this link on RushOutOfMissoula.com, which is tracking advertisers on the show. Local businesses still advertising on Limbuagh’s show include Adair Jewelers, whose owner, Jim Adair, claims he is being “blackmailed” by supporters of RushOutOfMissoula.com and who says the group wants to “take all talk radio off the air.” KGVO, the station that broadcasts Limbaugh in Missoula, has featured Adair on its talk shows as a way to try and defend the station’s keeping Limbaugh on the air amid the firestorm of disapproval of the show. Nationwide businesses that have quit Limbaugh’s show include Home Depot, Sam’s Club, ProActiv, Constant Contact and Legal Zoom. Some of the national businesses that continue to advertise on the show include Allegiant Airlines, Curves (the health club for women), Habitat for Humanity, Max Muscle, Dish Network, Fram Oil Filters, LifeLock and Match.Com.